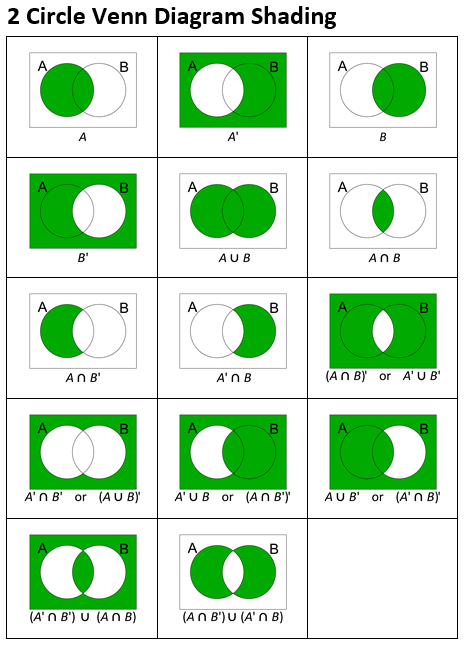 This new upload is a one sheet summary of all possible shadings of a two-circle Venn diagram, with the associated set statements. I can think of another where EVERYTHING inside the box and circles is shaded. Totally agree but we decided that the universal set and null set were so obvious as to not be required on this sheet. I agree with RAJ. From an teacher’s perspective, the diagram isn’t mathematically correct. However, you get a 98% for your representation. Sure. I suppose they could be considered “trivial” or “obvious”.